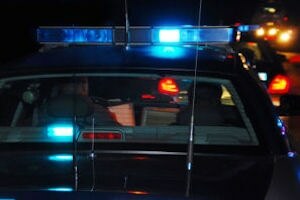 An assault charge in Tacoma could refer to a number of different violent crimes, which are separated into four distinct categories (called degrees), based upon the severity of the crime. If you're charged with any assault-related crime in Tacoma, a conviction will likely have a dramatic impact on your life. You incur a criminal record, and face a series of severe punishments. The Tacoma assault lawyers at the Law Office of Jason S. Newcombe understand that you want to avoid these punishments and stay out of jail, so we will aggressively fight to protect your interests and defend your legal rights. While there are numerous different types of assault, the four basic types are broken down by degree – First Degree being the most serious and Fourth Degree being the least. If you would like to gather more detailed information about your assault charges, you should speak with one of our professional Tacoma assault attorneys. For a basic overview, please review the following information about various assault charges in Washington State. First Degree Assault is A Class A felony. It is described as an assault with a deadly weapon, that causes bodily harm or death, or intends to cause it. This is the most serious assault charge and a conviction is punishable by a maximum sentence of life in prison and a $50,000 fine. Second Degree Assault is A Class B felony. It is defined as an intentional assault that causes substantial bodily harm to another individual. It is charged in cases where someone attempts to commit a felony, when the assault is performed with a deadly weapon, if a fetus is harmed during an assault on a pregnant woman, or when strangulation is involved in the crime. A conviction incurs punishments that include up to 10 years in prison and fines of $20,000. Third Degree Assault is A Class C felony, and is charged against a person accused of causing bodily harm to another individual through the negligent use of a weapon, or during an assault on a doctor, nurse, or police official. A conviction could incur fines of up to $10,000 and five years in prison. Fourth Degree Assault is a gross misdemeanor. It covers assaults that are less severe, like a punch or kick. A conviction fourth degree assault can result in a $5,000 fine and up to one year in Tacoma jail. If you're facing any of these charges, contact one of our Tacoma assault attorneys without delay. In Tacoma, an assault charge can be levied against an individual for many different reasons. Domestic violence situations are some of the most common. There are some occasions when domestic violence charges are fabricated, so if someone is falsely claiming that they were victimized by you in an assault, get help from a qualified legal professional who will act as an advocate for your character. Our Tacoma lawyers are skilled litigators and artful negotiators, but they need ample time to develop your defense, which requires a thorough investigation of the facts. Don't waste any time; contact one of our Tacoma assault lawyers today and do everything you can to avoid a prison sentence, expensive fines, and a criminal record.